A step forward from Smart Manufacturing to the digital connectivity of machines, facilities and people outside a factory’s walls, Smart Operations helps integrate processes both upstream and downstream to improve visibility and enable flexibility in both planned and unplanned changes. 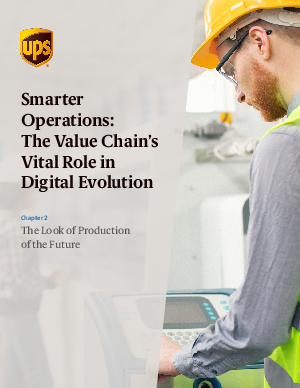 Part of a four-part series, this chapter continues to explore the building blocks required to create a smarter, more digital operation. Manufacturers will also find practical solutions they can consider implementing today to incorporate smarter operations in their production processes of the future.